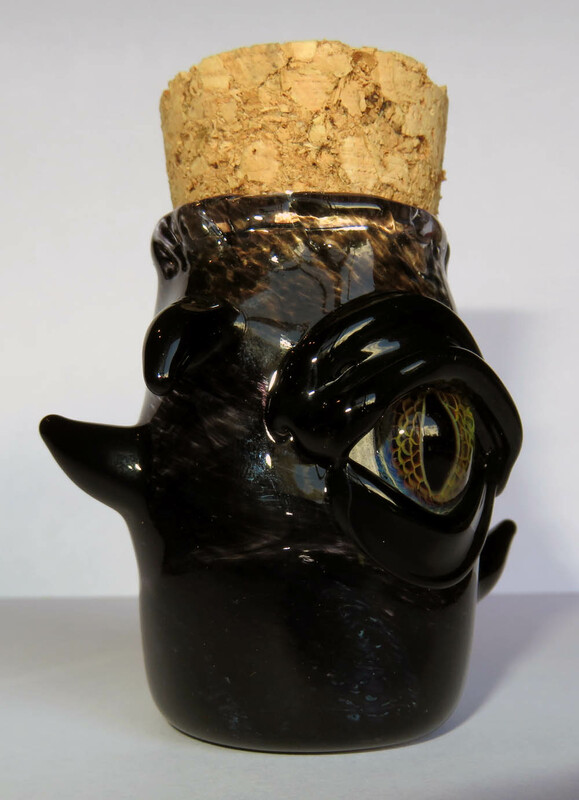 What do you do with a Dragon Medicine Jar? 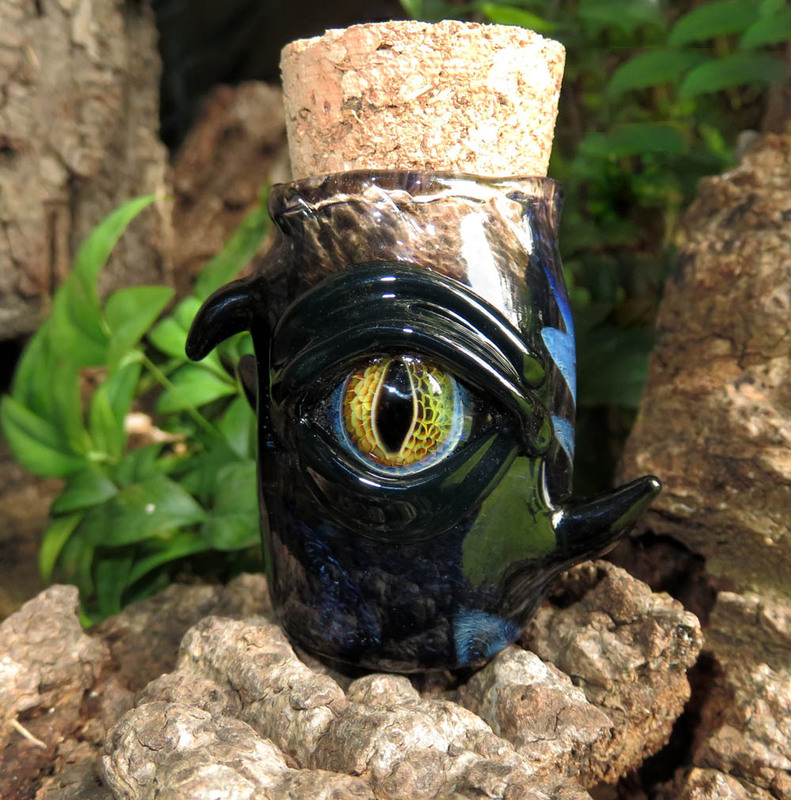 Hmmm… well, at the moment I’m not quite sure exactly how I will use this Dragon jar. 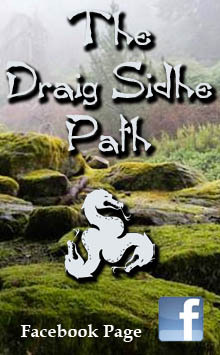 That will require further contemplation and consultation with the Dragon himself. 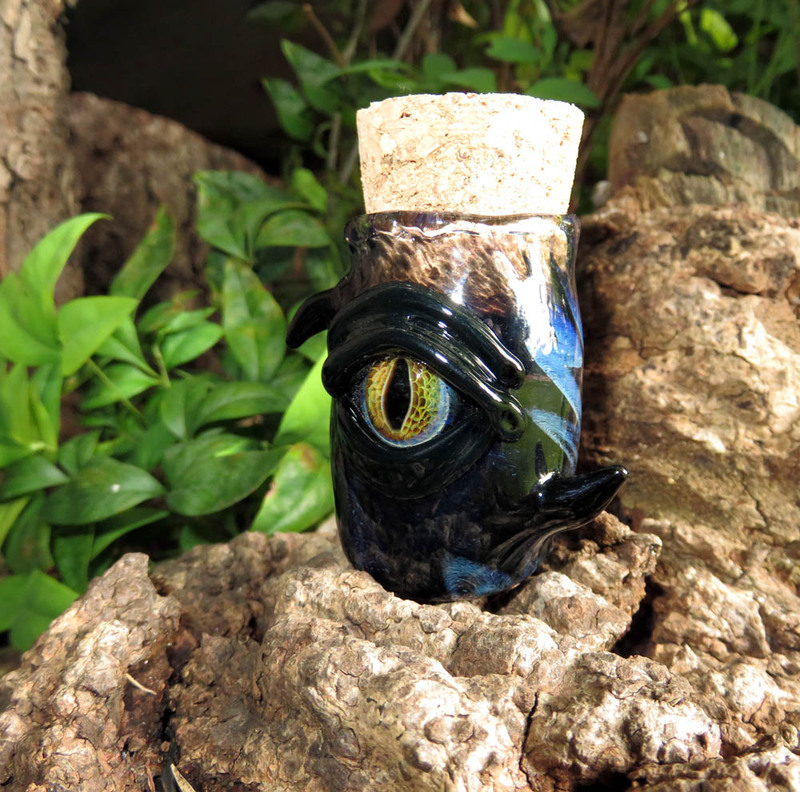 Yes there is a Dragon associated with this jar and he definitely has a very masculine energy about him. 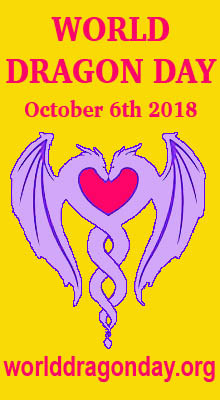 The word ‘medicine’ when used in this context refers to the healing aspects that a particular animal (or other entity such as a Dragon) brings to our consciousness. This would mean anything that supports, strengthens, restores, empowers, or revives the spiritual body, as well as the physical body. 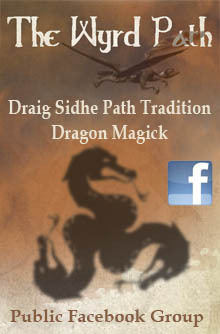 Dragon Medicine can be thought of as the essence of self-transformation. 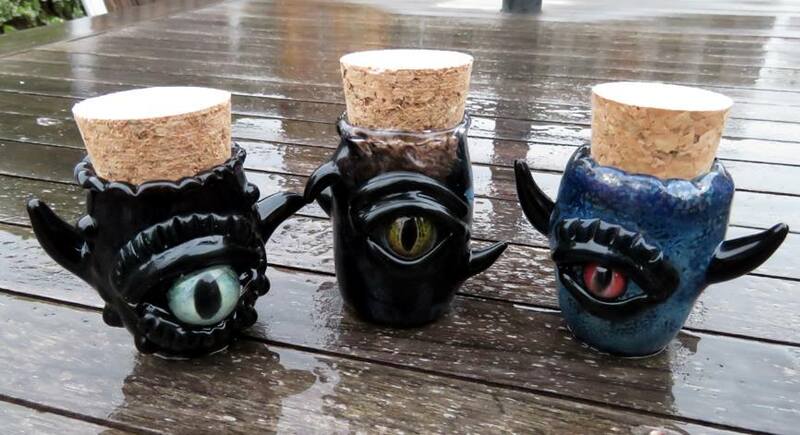 Historically ‘witch bottles’ were used against alleged witches, and were commonly filled up with nasty things (pins, needles, nails) as well as something identifying the person casting the spell (fingernails, toenails, blood) and then topped off with some urine and then sealed and often buried under the hearth, porch or front door. 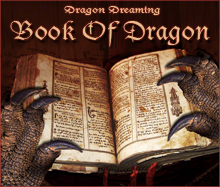 They were used to protect the inhabitants of the house against negativity and dark magics. 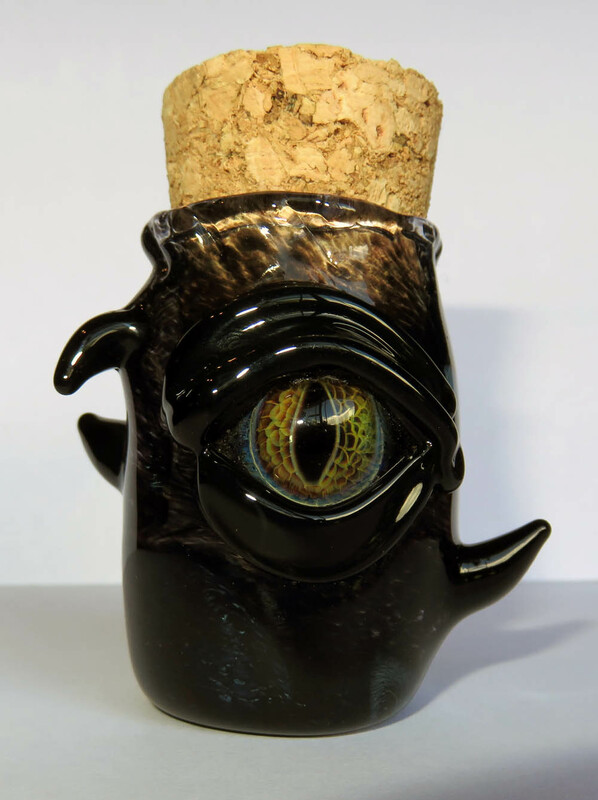 I might possibly use this beautiful Dragon jar as a protection bottle but I certainly won’t be peeing into it as that would be highly disrespectful (and gross, lol) and I wouldn’t bury such a beautiful work of art either. 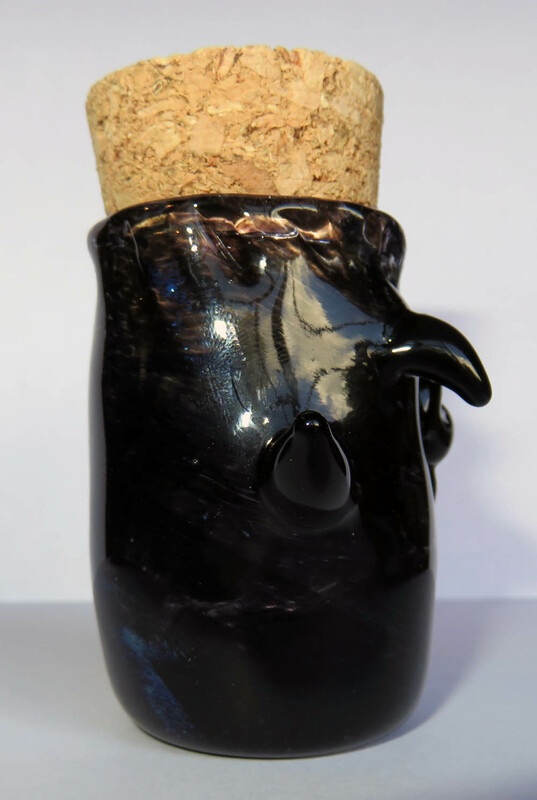 As a protection bottle/jar, it could be filled with incense, herbs, oils and small pieces of crystals which all have the appropriate protective magickal correspondences. Traditional items such as pins, nails etc could also be used along with some personal items such as finger/toenail clippings, hair, and even a drop or two of one’s own blood could be added if desired. 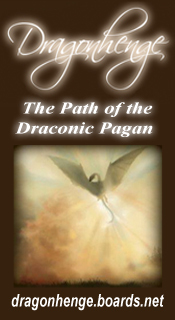 The magickal intent could be written on a small piece of paper and rolled up or folded to fit inside the jar. 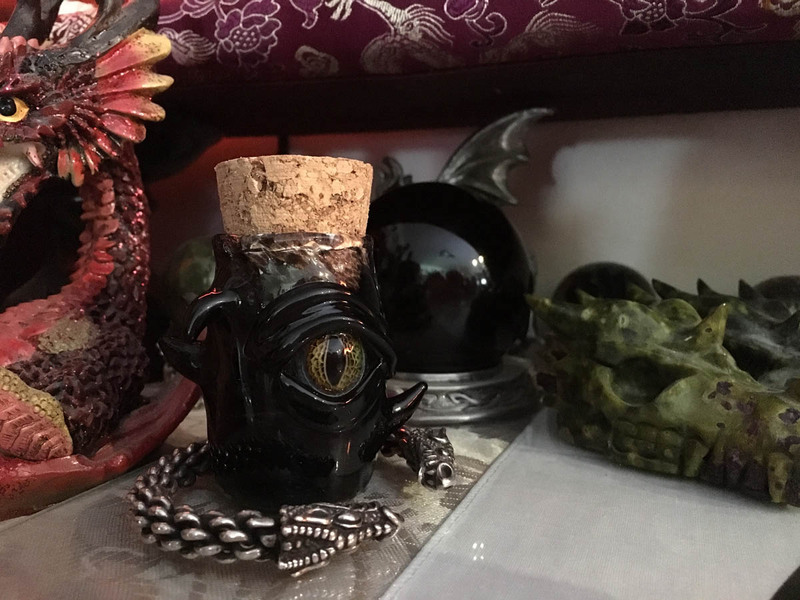 Instead of being buried, my Dragon jar will sit in the Earth corner of my altar, and from there the Dragon’s eye can maintain its watchful vigil. 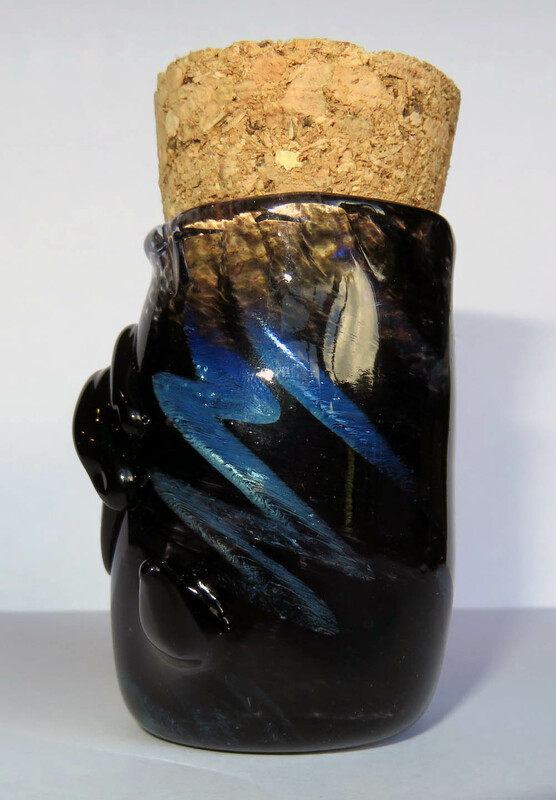 Similarly, if I were to use the jar for an attraction spell (eg. for wealth, better health, self improvement — or anything else one can think of) it could be filled with some of the same items listed above (minus the sharp, pointy things), making sure that the herbs, crystals etc each have the magickal properties corresponding to the intent of the working. 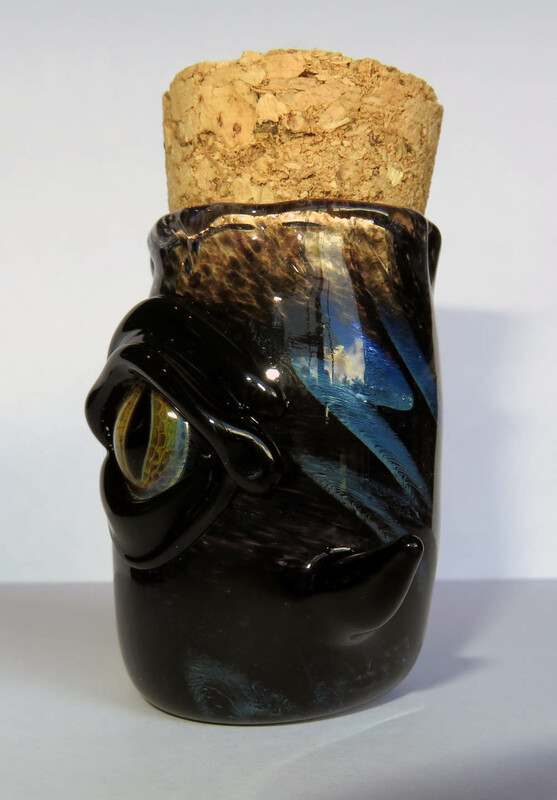 The jar could also be used to hold offerings to the Dragons — small crystals, coins, written prayers and affirmations — whatever you are drawn to add to it in honour of the Dragons. 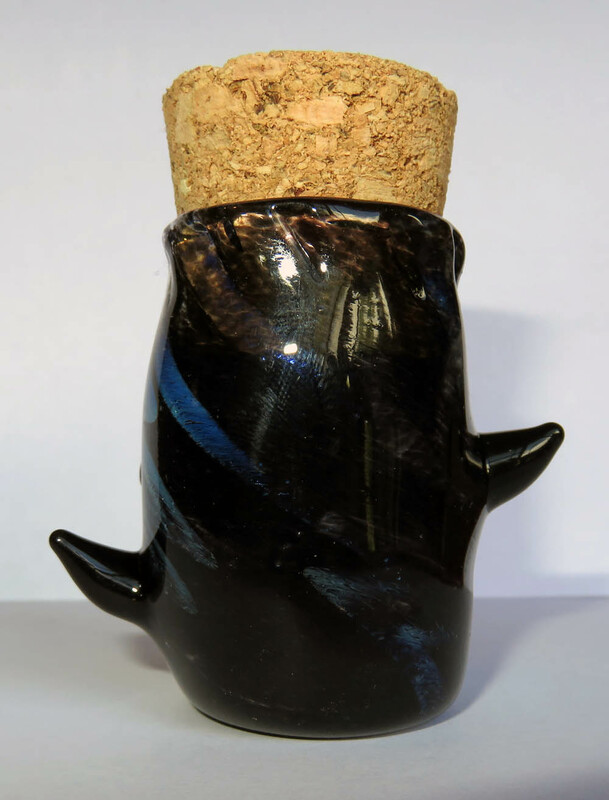 You could also use it to hold a special incense blend or perhaps an anointing oil to be used only during your rituals with the Dragons. 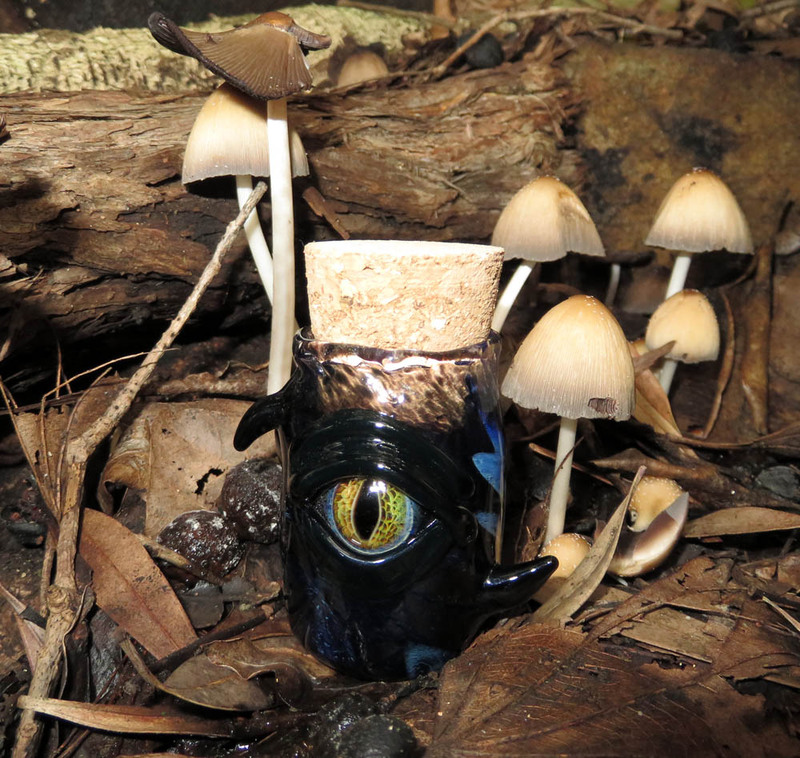 Naturally, whatever the Dragon medicine jar is used for, it should be for a purpose in keeping with the honour and integrity of the Dragons and be something that they are willing to assist you with. 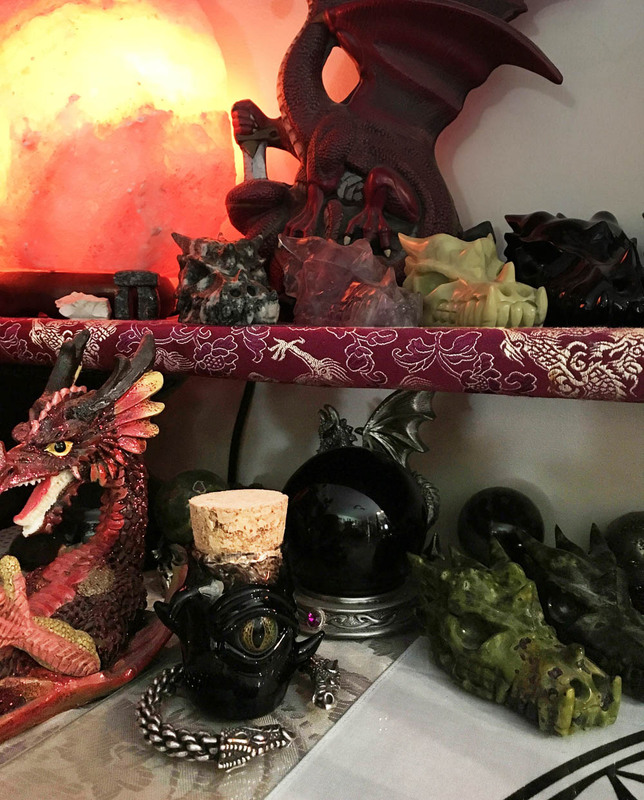 So, my new Dragon medicine jar currently sits in the Earth corner of my altar with my Dragon torc bracelet, where he’ll be able to converse with the other Dragons and get to know them. Maybe he will also decide on what he wants to be filled with and for what purpose. 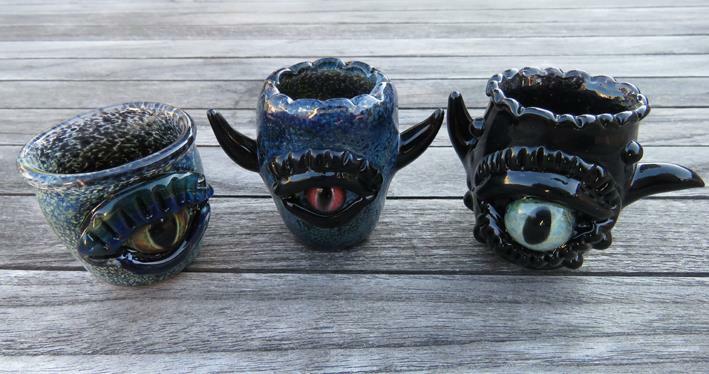 Finally, here he is with the other two eyes I have which were also made by Marcel Rensmaag. 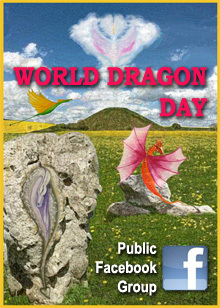 You can read more about them at Dragon’s Eye Pendant and Another Beautiful Dragon’s Eye. 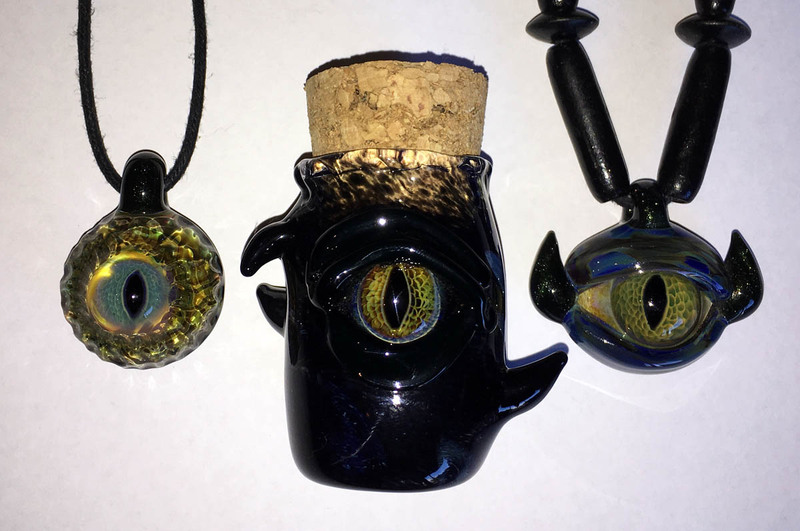 L to R, these Dragon jars now reside in Florida USA, NSW Australia & Montana USA. 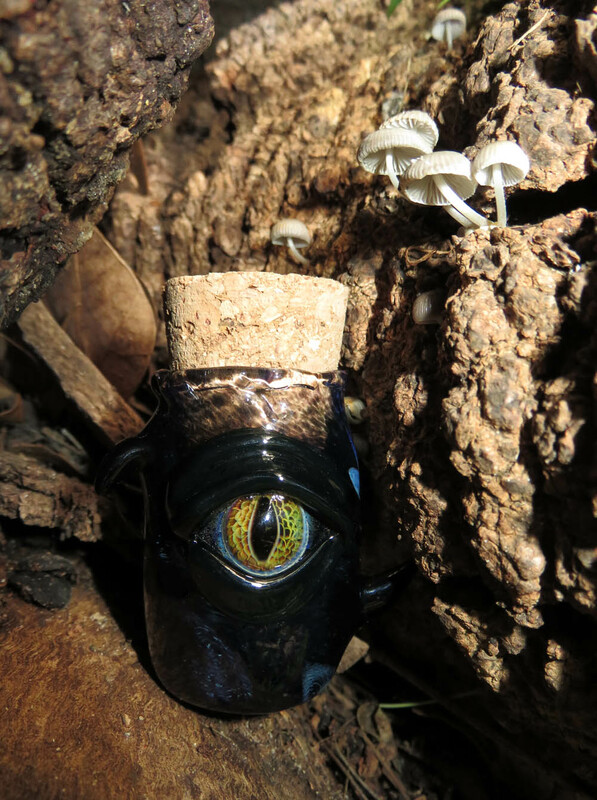 This entry was posted in Art & Craft, Dragon Magick, Magickal Tools and tagged dragon medicine jar, glass dragons eye.